I've heard John 14:15 quoted many times in reference to obeying some of the laws of the Old Testament: “If you love Me, keep My commandments." Or they've quoted John, 15:14 "You are my friends if you do what I command." The verse is thrown out as a prooftext: "You have to follow the commands of God!" though nobody's expected to follow all the commands: they don't promote blood sacrifices or stoning sinners. It's just an attempt to coerce believers into submitting to their own favorite part of the Law. This is an attempt at control: whether from ignorance or malevolence, this is an attempt to wield the Law, as it has always been wielded, to exercise control over you: "You must do what I say you must do, because of this verse!" This is part of "the curse of the Law." And implicit in it is "If you don't do what I say, you're guilty!" and this is the rest of "the curse of the Law." Let's look a little closer, shall we, at what Jesus said? Jesus doesn't say, "If you love me, keep all the commands of the Law," or even "If you love me, keep this particular group of the Law's commands." What does he say? "Keep MY commandments." Keep the commandments that Jesus has given. Not the commandments of the Law: the commandments of Jesus! What did Jesus command? Let's pull out a concordance and look, shall we? You're welcome to look it up yourself (http://nwp.link/1HpK278); these are actually the only commandments that Jesus gave. It's pretty clear that, while he has commanded it several times, he only gave one command: love each other. 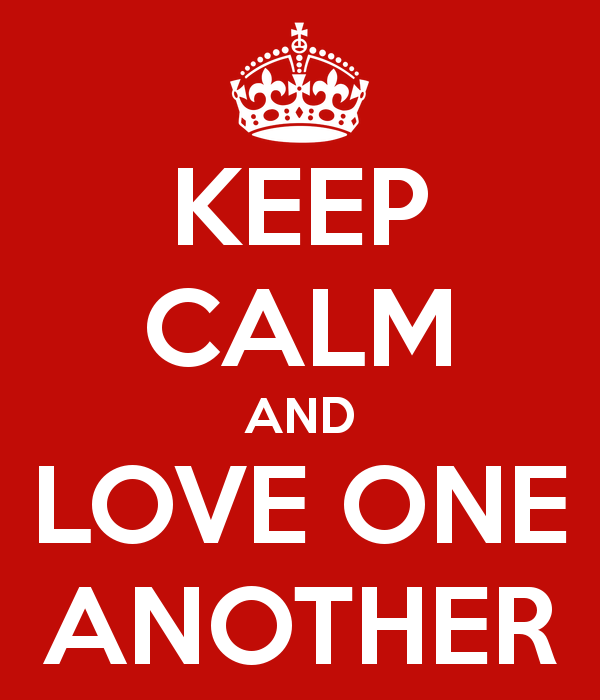 So yeah: if you love Jesus, keep the commandments he gave: they're all about love each other. That's it. This isn't about obeying the law, or about religious traditions, or about dietary requirements or even a command to "do good works." It's about loving each other. It probably is appropriate to point out that love - true ἀγαπάω love - is a pretty big topic. It's all about pursuing their good over your own good, and that's a costly love that will itself require much of us. But the command is love; the command is not about submitting to the Law, either the Old Covenant Law, or the rules that someone is trying to control you with. Brothers and sisters, the Law is dead. Long live the command of love. Yes Yes Yes YES!!! I can't agree any louder! Everything is done by loving God and loving our fellow human beings ... not human doings! Good word NW! Thank you Brother for such startling clarity.